Damara Gold Pvt Ltd, one of the leading manufacturers of gold jewellery, is renowned for giving its classic gold jewellery a contemporary twist and a trendy look. From the stone-studded, heavy gold bangles befitting a bride, to the light-weight everyday bangles or the medium-weight semi-formal ones, Damara does it all. The company is all geared up for the Diwali season with a chic and glamorous collection. This year too, Damara has underlined the importance of design, simplicity and wearability. In addition, it is going all out to improve the accessibility of its products, and spread awareness about their technical attributes. In a conversation with Retail Jeweller, Monil Pahuja, Damara Gold, shares the inside story. The Retail Jeweller (TRJ): What are the highlights/latest trends in gold jewellery this Diwali/festive season? MonilPahuja (MP): As we see it, gold jewellery is moving towards practicality, wearability and simplicity, and this Diwali is no different. The design concepts need to have a practical side to them to fit in with the new generation of buyers who value functionality. 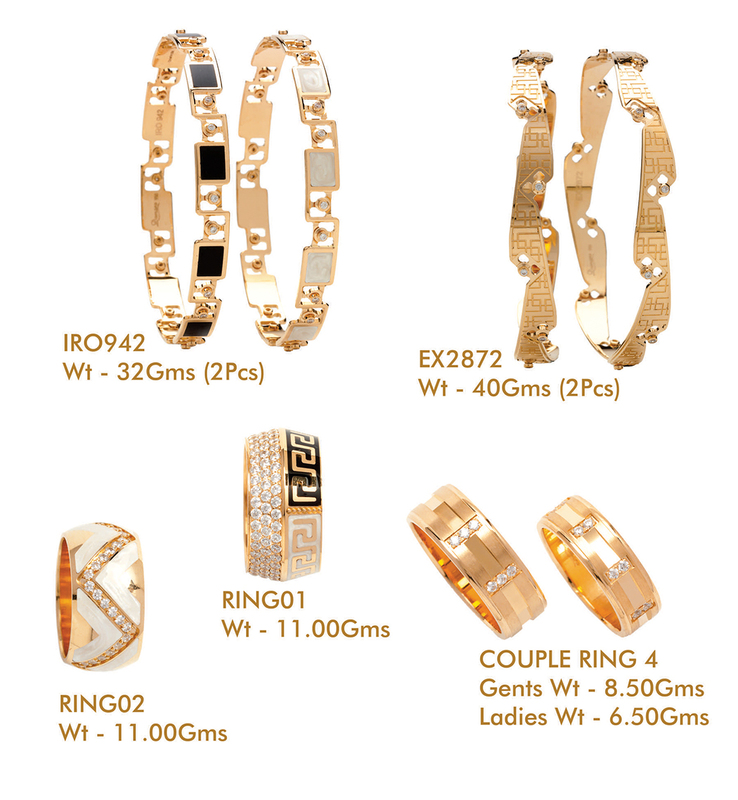 The second attribute one needs to remember when it comes to conceptualizing gold jewellery is wearability. The design aesthetics should be such as to ensure that the product is wearable, both as per wearing comfort and the design language, which should match the person’s attire and environment. The third important aspect is the simplicity of design. Today, the emphasis is on a design language that stays relevant even after a few years. The consumer seems to choose products that speak in an eternal design language. TRJ: What features according to you, define/separate common gold jewellery from the one specially made for the festive season? MP: The features that separate common gold jewellery from the one created for the festive season would be the sheer grandeur of the jewellery. Certain liberties are taken with colour and form, keeping in mind the spirit of the festivities. The common theme is the same, but the expanse of the designing vision definitely grows larger and wider, in keeping with the festive environment in which it is being showcased. TRJ: What, according to you, is the importance of merchandising for the jewellery industry in the context of the festive season? MP: When it comes to the festive season, the stakes always go a notch higher, as the consumer is in a state of active engagement. The buyer tends to lay emphasis on the spread of the jewellery on display as the occasion seems to whip up buying passions. The merchandizer needs to aware of the opportunity that such an environment presents, since buying is more emotional than transactional during the festive period. As a merchandizer, you need to make sure your spread hits the right notes with patrons. TRJ: Does merchandising gold jewellery differ from merchandising other types of jewellery? TRJ: Is there a key focal strategy Damara Gold is pursuing for merchandising gold jewellery this time around? MP: As a manufacturer, we are making sure we do all in our power to incorporate the inputs received from various channels, and create products that are relevant. At the same time, in order for merchandizers to view the latest that we offer, we have developed an application that not only helps the merchandizer view the latest creations, but also order them and customize them, based on individual preferences. Creating better accessibility of our products and their technical attributes has become the key focus for us in order to aid our customers.